I’ll admit now that my knowledge of Pokemon is sort of limited. I have been playing the TCG with my boys for about two years…I have a humble collection. It all fits in one little tin. Prior to that there was a cartoon on, of course, and then there was the video games. I didn’t care for the original game, which I had on my Gameboy Color way back in the day…I think the cartoon is a bit cutesy…And we saw a movie about MewTwo, which made the then five year old SpartanSmurf #1 cry it was so emotional. My two children recently got these two decks. You can read my unboxing reviews here and here! They matched a two out of three, and here was the results! The basic Pokemon out, Fennekin on SpartanSmurf #2, Froakie on SpartanSmurf #1 Honage and Farfetch’d on the bench. Fenekin gets the first attack in, with Scratch. This requires only one Fire energy. SpartanSmurf #1 gets the first evolution….His Froakie becomes Frogadier. He uses “Water Dripping” Which requires only a water energy. Fennekin is weak to water. Live Coal from Fennekin to Frogadier….a two energy attack. SpartanSmurf #1 Aqua Waves…..Knocking out Fennekin. (Not surprising) That required two water and one other. SpartanSmurf #2 plays Furfrou, and attacks with Tight Jaw, which paralyzes Fogadier. This buys some time for SpartanSmurf #2. SpartanSmurf #2 Sharp Fangs Frogadier for 50, a three energy attack, which knocks out Frogadier. SpartanSmurf #1 puts out Pawniard. He cuts Fufurfrou for 20. SpartanSmurf #2 knocks out Pawniard with sharp fang. Looks like Furfrou is a BEAST. SpartanSmurf #1 plays Panpour. He tries fury swipes, which is similar to continuous slash, but does 10 X each head from three flips. SpartanSmurf #2 plays tight jaw to Furfrou again paralyzing him. 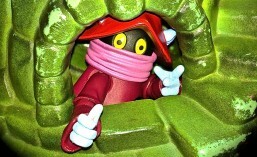 SpartanSmurf #2 knocks it out with sharp fang. SpartanSmurf #2 does tight jaw, but loses the flip. So no paralysis. SpartanSmurf #1 evolves Froakie on the bench. SpartanSmurf #2 used sharp fang, knocking out Honage. SpartanSmurf #2 tight jaws SpartanSmurf #1’s Frogadier. SpartanSmurf #2 sharp fangs the Frogadier, drawing his last prize card! SpartanSmurf #1 wins the coin toss. SpartanSmurf #1 plays Pawnard and Bidoof on the bench, with another Pawniard as his attacker. SpartanSmurf #2 pecks for 10. SpartanSmurf #1 evolves Pawniard into Bisharp…Then uses Wicked Jab. This costs only 1 energy, and allows a coin flip to paralyze the enemy, but he loses the coin toss. SpartanSmurf #2 now has Furfrou and Inkay on the bench. SpartanSmurf #1 plays crushing hammer, and takgets the Furfrou on the bench. SpartanSmurf #1 does Tierno, and loads his bench with Froakie, Skitty, and Farfetch’d He Metal Claws Inkay, knocking it out. SpartanSmurf #1 wins a flip with a Poke ball and evolves Froakie into Frogadier. SpartanSmurf #1 Water drips Furfrou. SpartanSmurf #1 plays Poke ball again, but loses the flip. SpartanSmurf #2 sharp fangs the stunted Pawniard for 50, knocking it out. SpartanSmurf #1 plays a Froakie to the bench. Then uses his active Frogadier to aqua wave Furfrou for 40 plus 20 more by winning the coin flip once. SpartanSmurf #2 tight jaws again, but loses to flip. SpartanSmurf #1 uses Frogadier to water drip Furfrou and knock him out. SpartanSmurf #2 advances a slugma from the bench. SpartanSmurf #2 plays Tierno. Then Poke Ball, but loses the flip. He combustions Frogadier. SpartanSmurf #1 then aqua waves, and knocks out the slugma, finishing off all of SpartanSmurf #2’s pokemopn. SpartanSmurf #2 gets another Fletchling. SpartanSmurf #1 aqua-edges Fletchling for 80. SpartanSmurf #2 advances another fletchling from the bench. SpartanSmurf #1 aqua edges the fletchling, knocking it out. SpartanSmurf #2 advances Furfrou. He Tight Jaws Greninja, paralyzing it. SpartanSmurf #1 Poke ball, loses. SpartanSmurf #2 puts energy on Slugma. Then tight Jaws. But loses the flip and fails to paralyze. the Greninja. IT now has 60 damage. SpartanSmurf #1 Aqua-Edges Furfrou. Now it has 10 life left. Naturally, the Furfrou gets knocked out. SpartanSmurf #2 advances a Slugma. Weak sauce. These two decks are balanced against each other pretty good. The Fennekin deck really took advantage of the Furfrou, colorless “blah blah blah” Pokemon. I never got to see Fennekin actually get going. But it stood no chance agains the water attacks of Froakie and his evolutions, and I predict that most of the time it never will. So the champions of the Fennekin deck are the colorless Pokemon, and Froakie and his ilk are the champions of the Froakie deck. If these decks were taken to a tournament, they would lose. They don’t have enough synergy. And at least to me, that is what wins the Pokemon TCG…cards that work together. Posted in card game, Fennekin, Froakie, Pokemon, Pokemon Black and White, Pokemon TCG, Pokemon XY, TCG. POKEMON XY Kalos Starter Set unboxing and review! Fennekin! Pokemon cards. This is what is great about Pokemon to me. Not the video game or cartoon. But the cards. SpartanSmurf #1 wanted the “Froakie” box, and ordered it off of Amazon. Big mistake. I saw it and this at Target, on the SHELF! So I snatched up Fennekin and gave it to SpartanSmurf #2 early…. When you open the box, this is what you see. The special foil Fennekin and his evolutions are in a separate piece. beneath the promos, you see this. Smaller flatter counters this time around, but a bigger coin! Here are all of the cards that came with the deck. 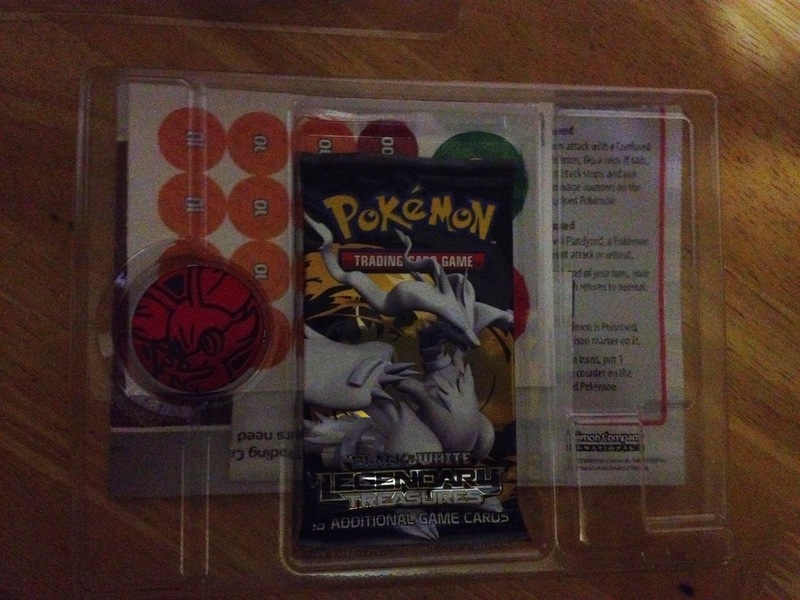 The booster pack was from “Black and White: Legendary Treasures” None of the cards here are of Pokemon that have never been revealed…. So, tomorrow the “Froakie” box should come, and we are going to match the two decks against each other. I will post the results! Long ago, between the addiction with Shadow Era and Magic the Gathering, me and my boys began playing PokeMon cards. Now I have some background with PokeMon. In college, my roomates would watch the show. I would not…But eventually when I got a Gameboy Color, I got the first PokeMon game, and HATED IT. You would think I would have like it, being a fantasy lover and all that. Also being a fan of Zelda and Final Fantasy. But PokeMon the game just didn’t do it for me. It wasn’t long before I was confiscating PokeMon cards from students, as they were banned. (Most cards are banned at school.) I would read what was on the card and scratch my head. Sometimes an “energy” card would turn up. Then I really scratched my head! That made no sense to me at all. In fact, Trading Card Games didn’t make sense to me. But after I finally started playing the game with my boys, I saw that it was really easy. I liked how the game allowed the boys to win, it wasn’t just me dominating all the time. But now I have two decks that can’t be beaten. And I must consider making a deck that is weak enough for them to take out so that they won’t lose confidence. This deck is called a “championship deck.” The cards do not have the standard back of the regular cards. Basically, it only has four Reshirams and four Cydiquil/Quilava/Typhlosions. (Well, technically it only has one Quilava…It counts on Rare Candy to evolve Typhlosion most of the time) This deck is all about card advantage, being padded with support cards that let you search for the cards you need. The two Pokemon have synergy….Reshiram has a Blue Flare attack, that hits for 120 damage, but then he loses two fire energy to the discard pile. Typhlosion allows you to take fire energy out of the discard pile and put it on a Pokemon….See how this is an unbeatable strategy? The idea is to get the Escalvier attack “Twin Needle” If you can pull this off, you can knock out almost anyone…your opponents become anxious every-time you flip the coin! So, anyone want a complete deck list? Write a comment and I will get that out to you! Posted in Championship Deck, Escalvier, Fuirious Knights, Magic the Gathering, Noble Victories, Pokemon, Reshiram, Shadow Era. My introduction to Trading Card Games, (TCGs for those not nerdy enough to know,) was actually not Magic: The Gathering, World of Warcraft, of Pokemon. I knew OF these, but did not play them. Then one day I got the itch to start playing cards. I had been playing poker and such as that on the computer, and somehow came across a Macworld article about Shadow Era when I was doing research about cards. I began to play Shadow Era, which was still in beta testing mode. I jumped in apparently after the second big update was pushed out. I had a hard time figuring the game out. I mean, I read the rules, and sort of knew what to click…the game lights up the available cards, and in about two weeks I had it down. Before we knew it, I climbed the ratings ladder up to near 200. Then, I would get knocked back down every time they updated the game. This happened sort of frequently. What struck me the most was that they were still evolving the game as people were playing it! My favorite card then (and now!) is Majaya, but poor Majaya started out as too good of a card, then they weakened her too much, until finally finding the right balance…..
You see, I can’t really explain this game without just talking about my experiences with it. Basically, you have your cards, you draw a hand, make a sacrifice, which becomes your “mana pool” (to use a Magic term, Shadow Era calls it Resources) and you can play your cards with the resources you build up. Only certain cards go together, so Human and Wolf cards won’t share the same weapons and armor, etc. The creatures you play in this game line up with their hero’s card type. So Majaya can play “Shadow” creatures. Boris, on the other hand must play Human creatures. DarkClaw must play wolves, etc. These creatures are called “allies,” and can attack. 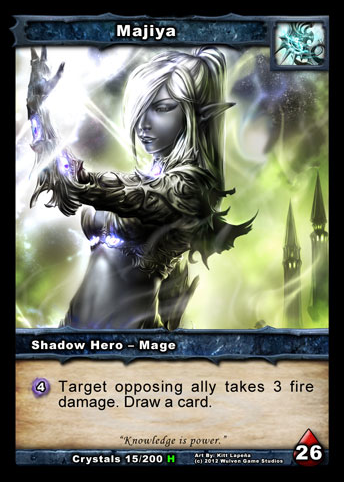 Your hero, in my case Majaya, can’t do much of anything except use Shadow Energy, which builds up every turn…. So there you have it….You are confused already….But this game isn’t confusing. Just hard for me to explain. It is really very deep. I ordered some of the physical cards last year….They had sort of a “kickstarter” thing going on, where you could pre-order the cards and you would get bonuses. This was the GREATEST VALUE EVER. These physical cards were great, and perhaps I will review them one day, but they sent two whole sets of foil cards in addition to all that I ordered! And slowly but surely, I received even more stuff, both by mail and on my Shadow Era digital account. I still have a ton of “Shadow Crystals” to spend, which brings me to the next point. This game can drain your real money, for digital goods. It is a FREE game to play, but if you want better cards, you have to either grind against the AI, (boring,) or fork over the cash for shadow crystals, which you can use to buy digital cards. So warning there! But this isn’t sooo bad. In fact, it makes it more like the card games you can buy at the store! Posted in Magic the Gathering, Pokemon, Shadow Era, TCG, Video Game, YuGiOh.